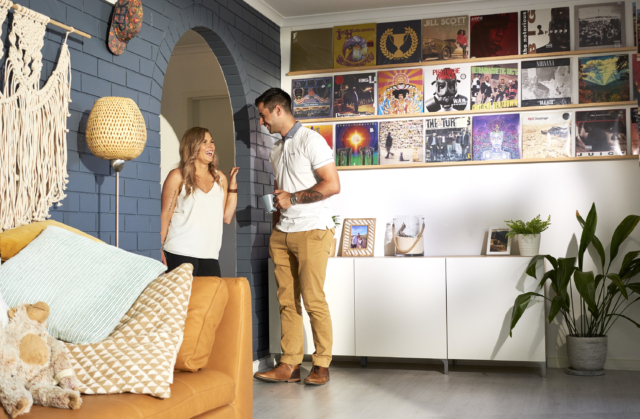 As part of its commitment to providing relevant interior design solutions, IKEA regularly ventures out into Australian communities to find out what people really need and want in their homes. 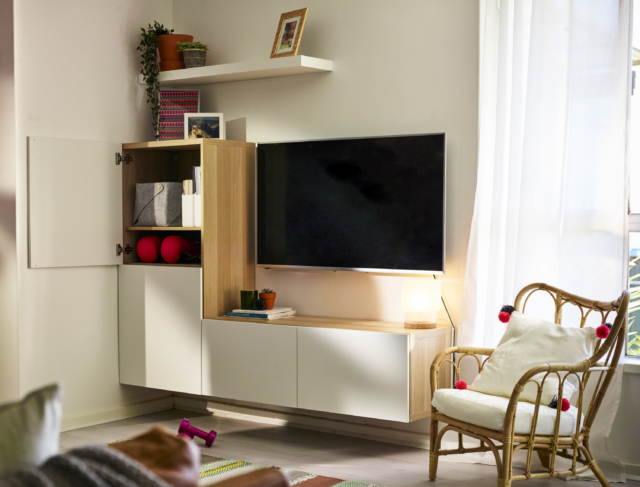 “IKEA visits homes all around Australia to interview families in the local community, and find out what they dream about for their space and what frustrates them about their home. 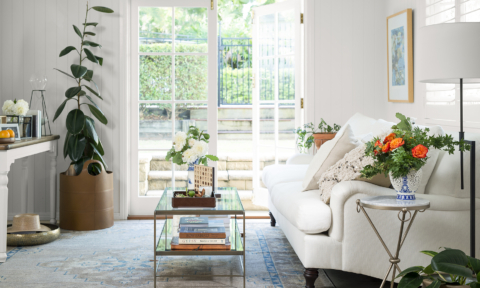 Our interior design teams sift through this information and use it as inspiration to design the unique and creative solutions you see in the showrooms in store,” says Christine Gough, interior design leader. Almost 500 homes are visited every year. 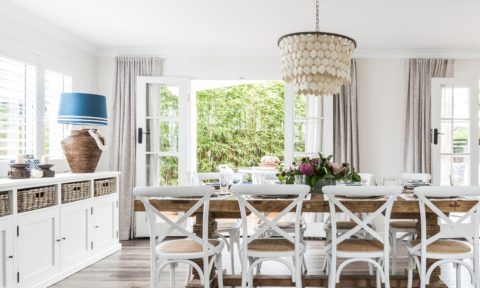 And for the first time, the IKEA interior designers have put their design solutions into practice in real living rooms including this one in Adelaide’s Hallet Cove. 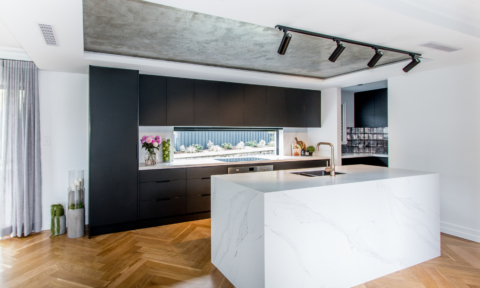 “Our interior designers worked with this family to find out what frustrated them about their space and how they could make their living room dreams a reality,” says Christine who shared her trade tricks with us too. 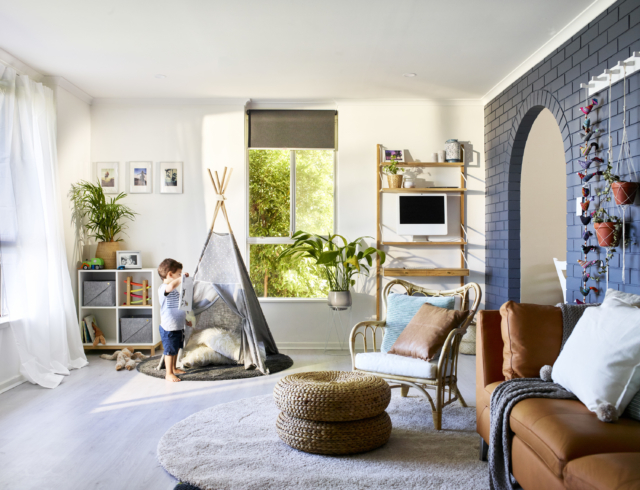 The young family of four aren’t fond of clutter but given the space is used for playing, office work, relaxing and getting the kids ready for the day, that is a challenge. 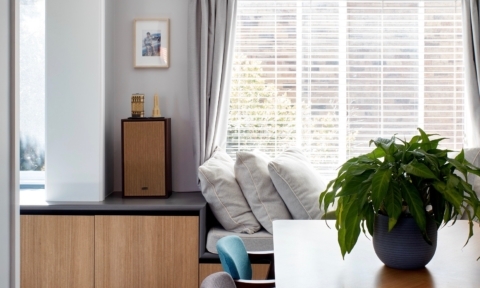 “We created dedicated areas for kids and adults to help zone off the living room. Lauren and Josh now have their own customised wall mounted computer station using SVALNAS. 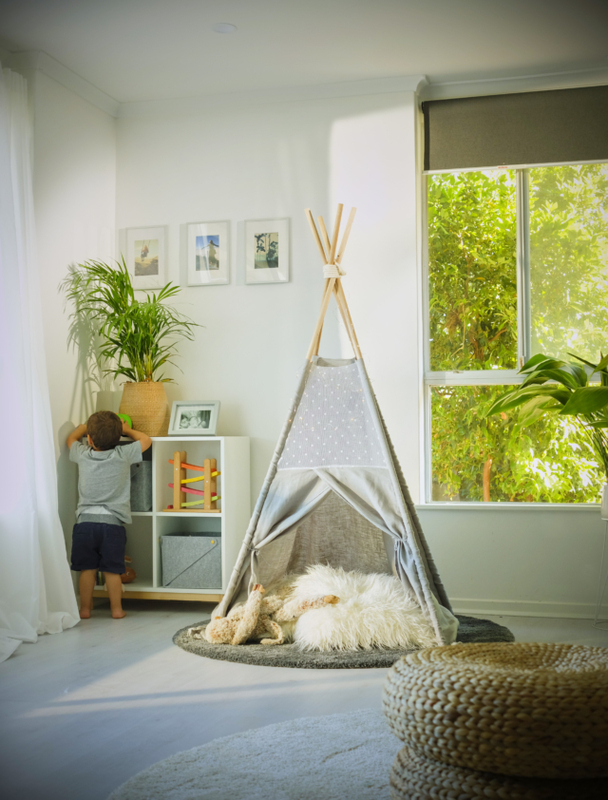 It is incredibly compact and still fits in with the aesthetic of the room, so Lauren can watch the kids as they play while she gets on with her work,” says Christine. 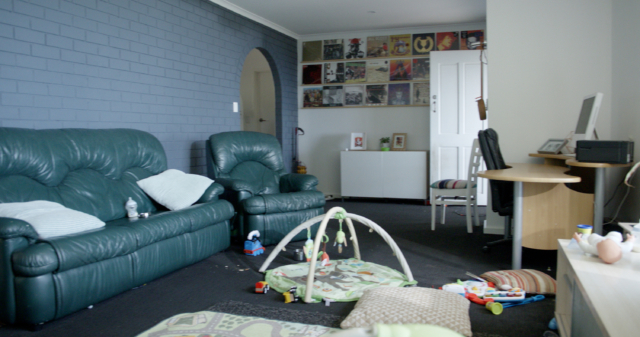 In the opposite corner of the room, the kids’ area houses toys, nappies and blankets. 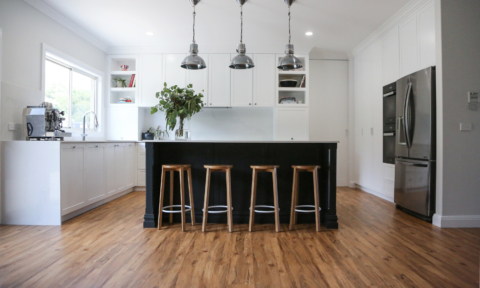 “It is important to keep it low to the ground so the kids can reach their toys and have access to the storage so they can put their toys away!” says Christine. 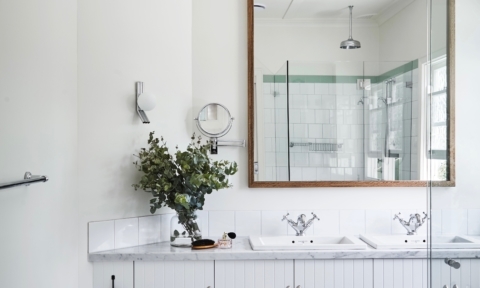 “This family have started to create a lovely boho Scandinavian vibe in their house which is simple and neutral. This was a beautiful base to work with and allowed us to have fun with bursts of colour. 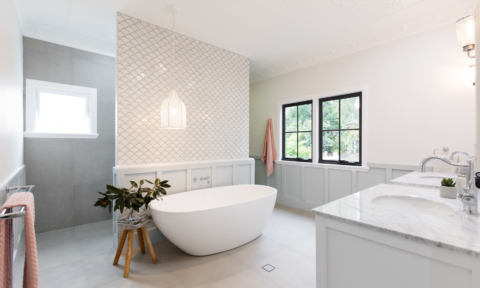 From sea shells and sand in vases, to Buddha statues and macramé hangers, they have a well-established unique style. 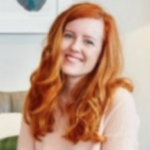 It’s important not to hide these things away, as your favourite trinkets and collectables add character and spirit to the space,” says Christine. 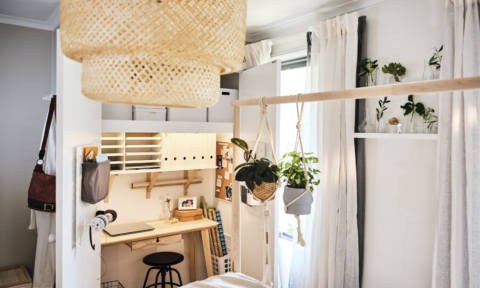 The home’s owner, Lauren, makes a lot of handmade items and the IKEA team decided they’d be better presented using hooks instead of shelving. 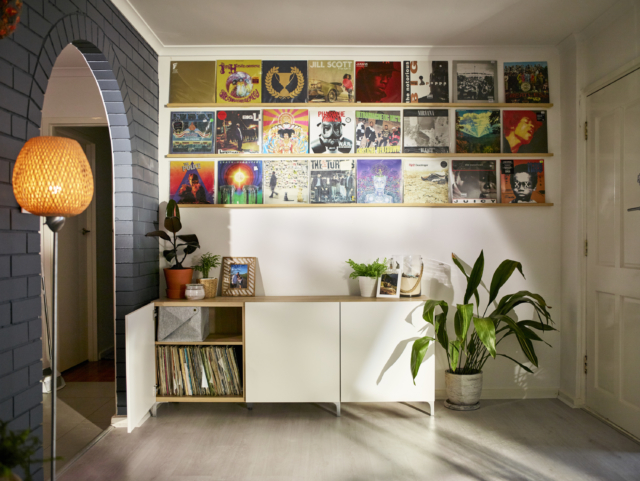 “We wanted to move away from the traditional wall shelf used to stack frames and find a way to really bring to life this fantastic brick wall. Instead we opted for wall hooks that allow us to show off Laurens amazing handmade items. 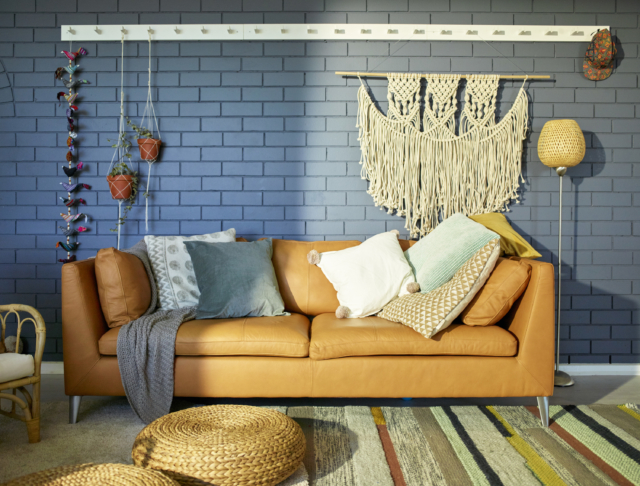 The KUBBIS rack is only $19.99, so it’s a really affordable and easy way to transform the wall,” says Christine. Was the lounge from IKEA?